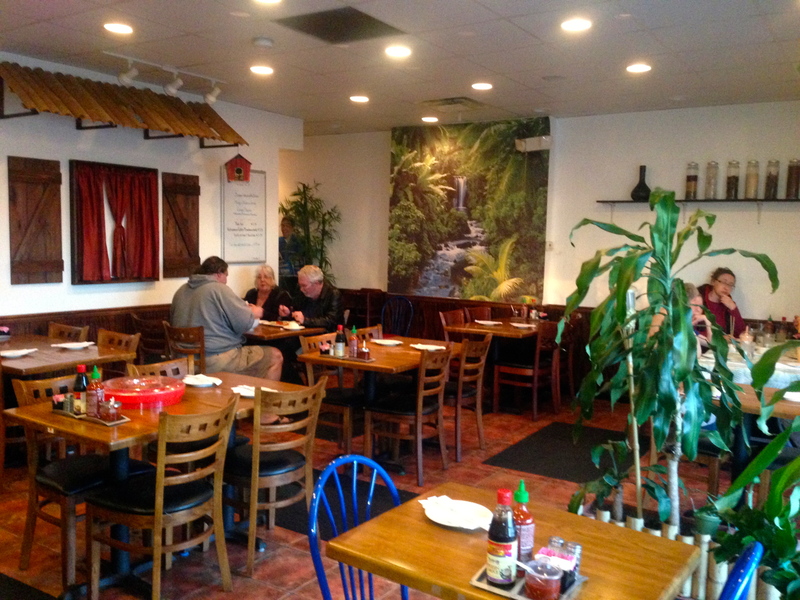 Date Night takes a rare Asian turn as we visit a pho place near Roswell. 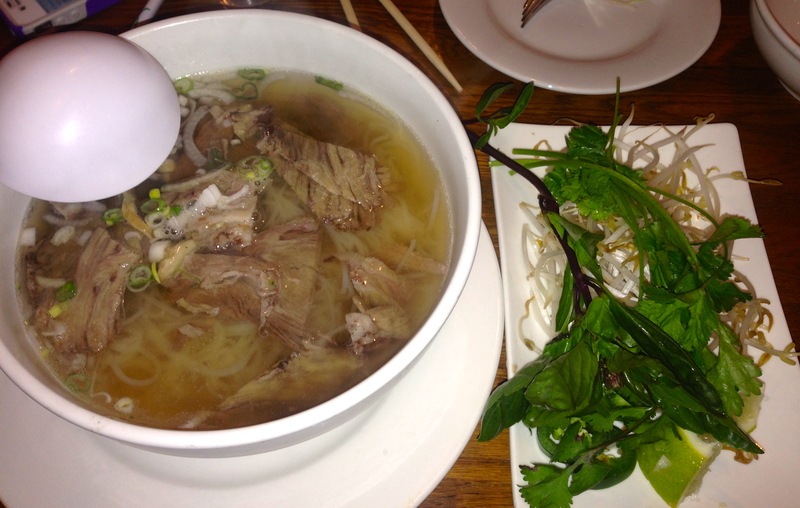 We know where to get really good pho in Southern California. Can we find a place as good in Roswell, or will we be hungry an hour later? This is the part of Date Night where we talk about the beer we order and how much we enjoy it. Not tonight. There is no alcohol on the menu, although you can get smoothies for the kids. If you want pre-pho beer, you have to go to either the Mellow Mushroom next door or the Taco Mac down the street, both good choices. Pho & Com is attached to a gas station. It’s a mom and pop operation. In fact, the only people working here are mom, pop, and a helper. Pop cooks, while mom waits on tables. She’s not real helpful with the menu. We need Emily and Adam here from Spatialdrift, who are eating the entire Buford Highway and go to joints like this all of the time. Don’t be fooled by the empty tables in the picture. It’s about to get really busy. 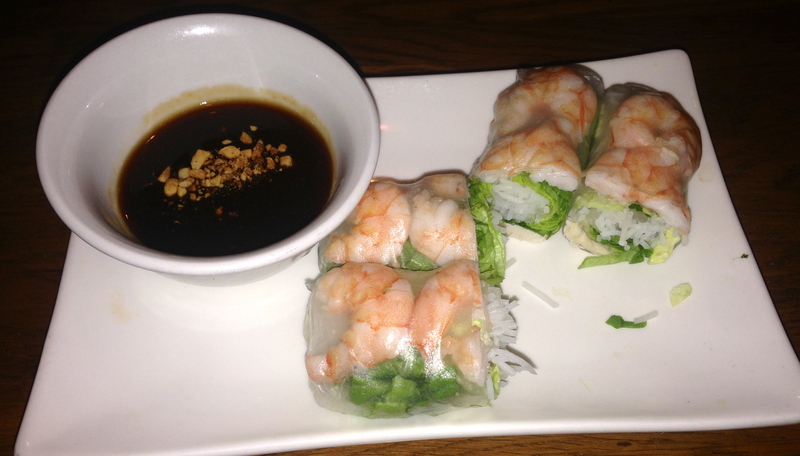 After a lengthy menu study, we order the spring rolls, two plump rolls full of shrimp and chicken. They are perfect for sharing. How do they get all of that filling into the thin rice wrap without it all bursting out? We could never make this at home. For those who have not done pho before, this is what a bowl of beef pho looks like. You throw the sprouts and herbs in the bowl and you get a tasty concoction. It’s all very fresh, and actually good for you. This is an excellent dish. We also order a seafood rice bowl. It comes with plump mussels, shrimp and some calamari tubes. 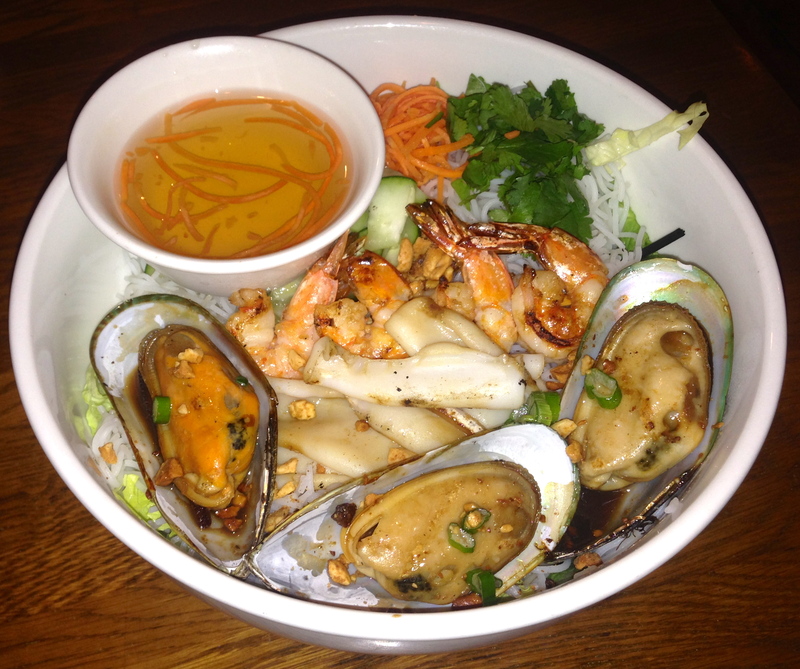 There’s a lot of rice noodles and lettuce under the seafood, which is served cold. It comes with a light citrus dressing. Everything in this bowl is delicious. By the time we are done with our “soup and salad”, Pho & Com is chaotic. People are standing everywhere–in the aisles, near the cash register, and outside. I am hungrier than when we walked in. We can’t get “Mom’s” attention to get more food or more water. The check arrives, which means we must be done eating. Too bad, because the main dishes, which we obviously should have ordered originally, look great. It’s probably better this way as “Pop” has to be swamped in the kitchen and some deserving group will get our table. 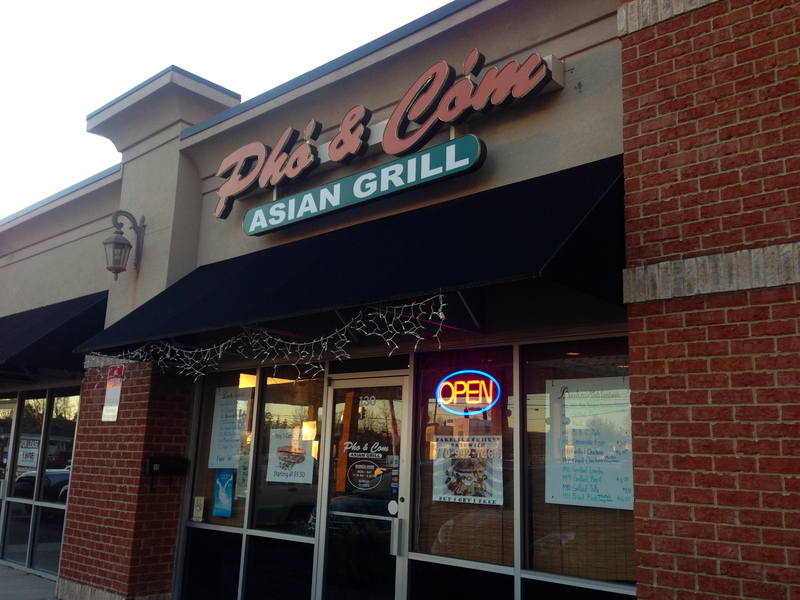 The Bottom Line on Pho & Com: It’s probably not the best place to go on a date. It’s noisy, crowded, the service is lousy, and you can’t get a beer. If you can handle all of that, the food is good, as long as you order enough of it. It might be better for a lunch visit.